The Mail to the rescue? He's used to playing some of Hollywood's greatest leading men. 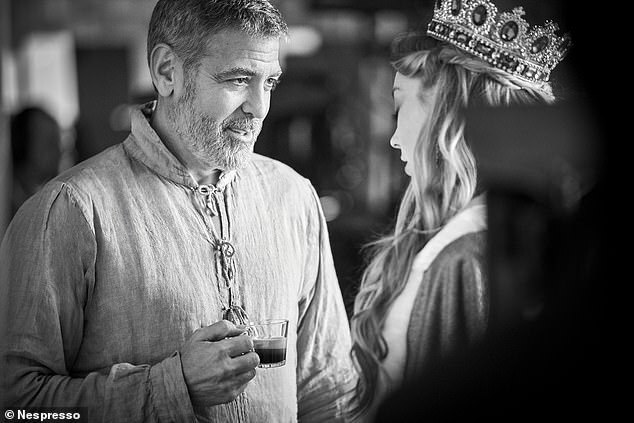 But George Clooney has embarked on his greatest quest yet in a brand new ad for Nespresso, as he tracks down the world's best coffee for Natalie Dormer's regal queen. 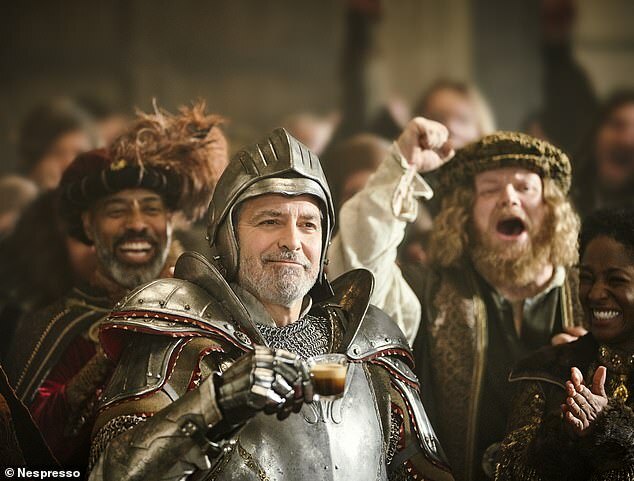 No stranger to playing a medieval monarch, Natalie is seen dressed in robes and a crown as she sips the hot beverage brought by subject George, after he fights his way through a medieval battle on the streets of New York City. 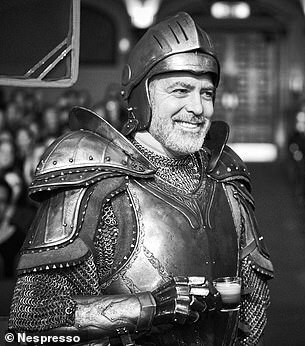 In the advert - title The Quest - George is seen clad in armour that could be mistaken for a scene from Game Of Thrones or Lord Of The Rings, as he takes part in an epic battle in a bid to find the greatest coffee. 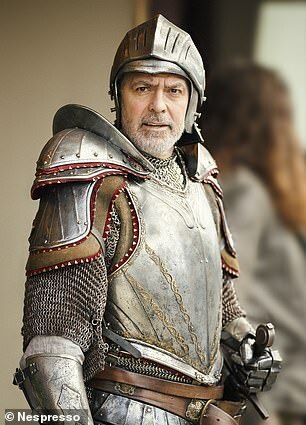 The Oscar winner slays a dragon to make it into the Queen's presence, where he is offered a reward before his way through New York to find the ideal cup of coffee. 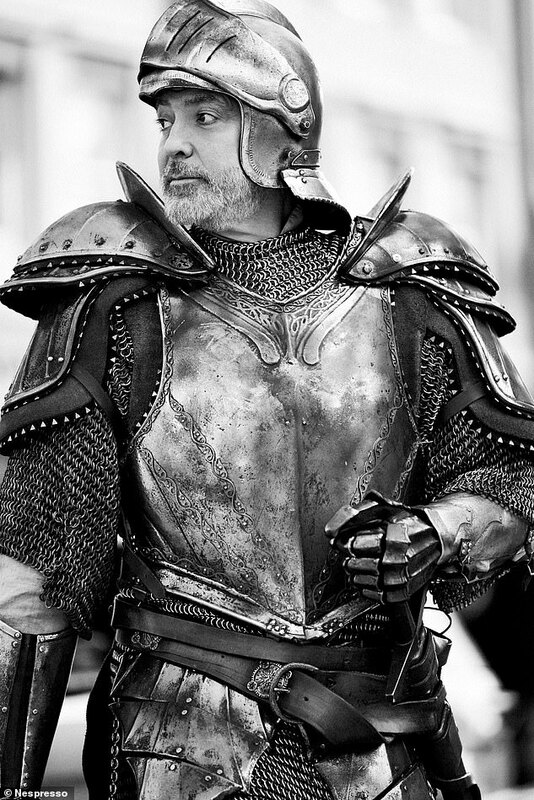 Travelling on a double decker bus past a movie theatre, George eventually makes his way to the perfect place to find Nespresso, which he proceeds to bring back to his queen. 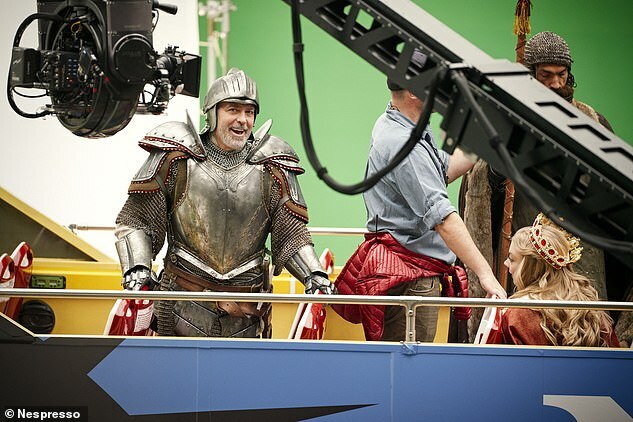 In behind-the-scenes snaps from filming for the 60-second advert, George and Natalie looked to be having a whale of time on set together, the first time they worked on the same project. Natalie's role as the Queen may remind many of her eclectic range of royal roles, including Anne Boleyn in The Tudors and Margaery Tyrell in Game Of Thrones. 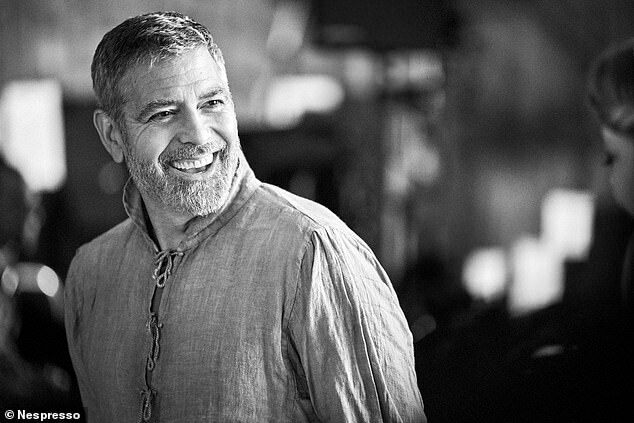 'I’m a big Nespresso fan, and my family thinks it is very apt I am doing this commercial. 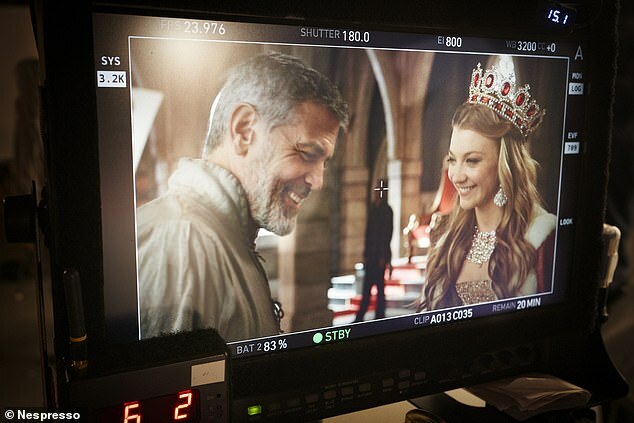 Working with George Clooney - what a dream come true!' she said. 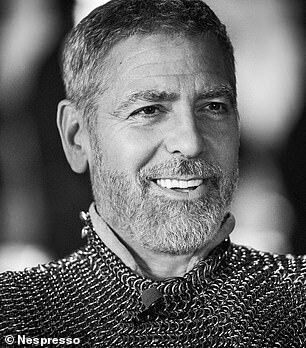 George has featured in numerous memorable adverts for the coffee brand over the past few years, teaming up with stars such as Danny DeVito, Camilla Belle and Jean Dujardin. 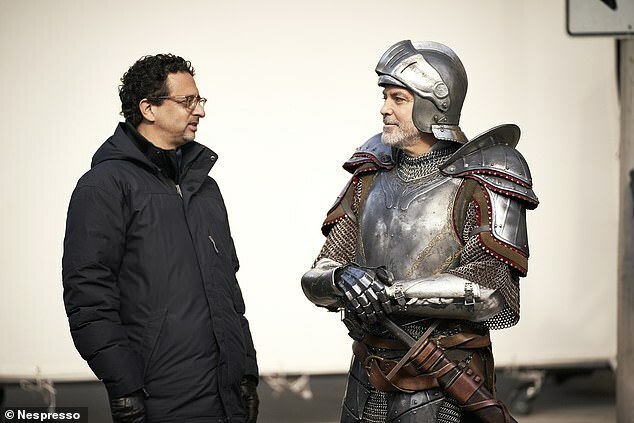 And while he has never appeared in a medieval drama or series, the closest would be his work on his performance in the 2014 World War II drama Monuments Men, which he also directed. The entire ad here. Hope it works for all! Thanks for the videos I was able to watch as well! 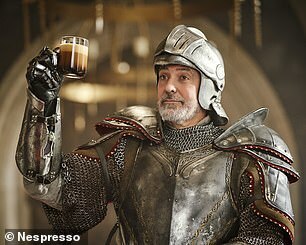 I really enjoyed the ad (although my favorite Nespresso ad is still with John Malkovich as god). Last week we went away to visit Dresden with our kids and had a Nespresso machine in our hotel room. I tried it,and the coffee was really good. Then I checked the used capsule and realized how much coffee is left in it. So in my opinion it's really difficult to recycle it, my conclusion is to stay away from buying one of these machines. But I'm okay if others do, at least it's a really comfortable way of making yourself some coffee. 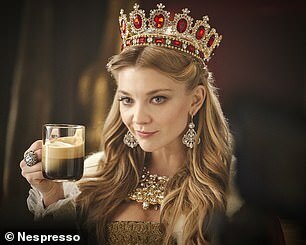 the worst nespresso advertising in recent years! they wanted to surprise, they did not succeed! 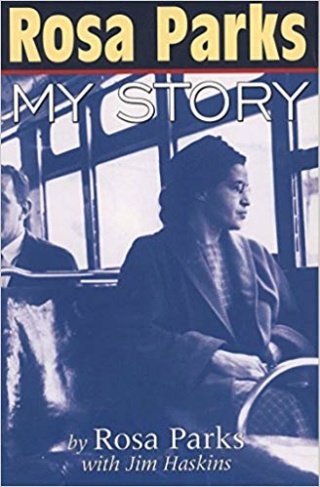 I really liked it too. It was time to change up the format of George’s Nespresso commercials. Not that they weren’t good or entertaining but it was time for a different take. I also thought last year’s was really clever...the one where George is in the car with Burt Reynolds, the Muppets and Janet Leigh. Really fun. Both that one and this year’s tell fun stories. And people can relate to them.